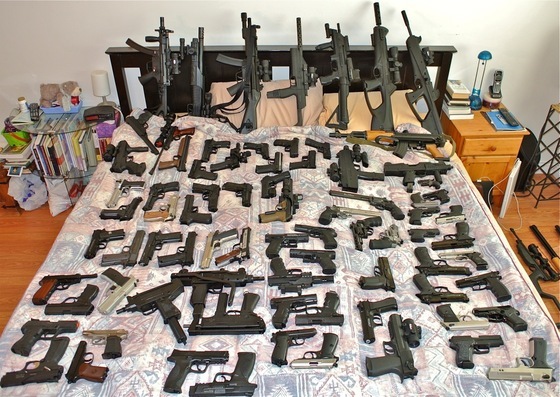 Here it is by popular demend, a video of all my Air and Blank Guns, many of which where added in 2011. Thank you to everyone for your suport, without you all, this would not have been posible! Kimar Lady K (Walther PPK) 8mm P.A.K. Blanks - Semi Auto. EKOL Aras (Browning Hi-Power) 9mm P.A.K. Blanks - Semi Auto. Retay Baron HK (Sig Sauer P228) 9mm P.A.K. Blanks - Semi Auto. As promised, I went out and picked up some Reball (reusable) paintballs to try in my Tacamo T68 AK47 styled paintball rifle. I wanted to see what kind of damage they could inflict on various targets. The purpose of the Reball is mainly for practice or training use with paintball guns, they are also used in some indoor paintball facilities. Reballs have the advantage of not only being reusable but also not making a lot of mess. 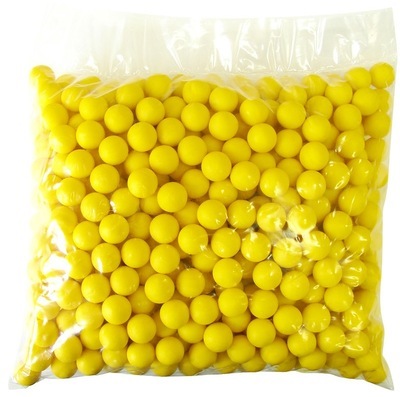 Another benefit is that Reballs do not break apart and so they will deliver more energy on target which may be useful in a self defense situation with a high fps Paintball gun. Now I am not recommending these guns in any ways to be used for self defense or non-lethal use but other people have suggested it to me, and I wanted to see what these little rubber balls could do to different targets. Keep in mind I was not looking for penetration as that is not the purpose of a "traumatic round", such as a rubber bullet. Rubber bullets are not supposed to penetrate but rather stun a person. I found the Rubber Reball Paintballs to be about the same weight as standard paintballs and so they shoot about the same fps which in my gun was about 350 fps. Materials: Metal & wood build. Propulsion: CO2 or compressed air. Ammunition Type: Paintball marker .68 caliber. 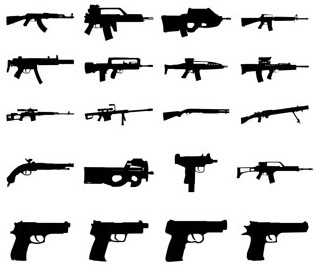 Ammunition Capacity: Dependent on hopper system used. Trigger Pull: The trigger pull on the Tacamo T68 AK-47 is what you would expect from a blowback operated single action gun, easy and light with just a bit of creep to it. The action of the bolt gives the gun a nice little snap to it and with the extra CO2 needed to push out the large .68 caliber paintball markers you also get a little bit of recoil adding to the shooting enjoyment. Accuracy: I'm not going to spend a lot of time talking about accuracy with the Tacamo T68 Paintball gun as I don't really have any other references to base it on but I can say I was pretty impressed with how well it stayed on target considering most paintball ammo is not really uniform in shape which effects accuracy a lot. I was also expecting lower FPS performance closer to the 250-300 FPS range but I got nice consistent 350 FPS shots with the Tacamo T68 AK47. Build Quality: Very nice, the Tacamo T68 AK-47 is made of mostly metal and wood with many actual parts from a real AK 47 including the wood handle and stock, rear sight, safety, magazine and authentic strap. The Tacamo Paintball rifle has some weight to it also making the AK 47 replica feel solid and durable. Realism: Again the Tacamo AK 47 replica is made of lots of real AK47 parts making this gun very realistic, you can't really get around the telltale Paintball marker top loading tube and CO2 hookups but other then that the Tacamo AK47 really looks like a an actual AK47, so if you want to play the bad guy you can definitely pull it off with this replica paintball rifle. Very believable AK 47 replica. Mostly metal and wood design. 3 models to choose from with different styled stocks. Fun to play the bad guy with this villainous rifle. Semi auto only, no full auto - would have been nice! May be a bit large and heavy compared to other more compact Paintball guns. A few paintballs broke in my barrel when shooting, FPS pressure may have been set too high? I really like my Tacamo T68 AK47 Paintball rifle, again I have virtually no experience with Paintball guns so my reasons for liking it are mostly based on the all metal and wood build and real AK 47 look of the Tacamo T68 AK47. That said I thought it performed pretty good overall getting decent accuracy and shooting well into the 300+ FPS. I may pull this one out once in a while even to shot some various targets just because it does have a more realistic recoil feel when shooting then my smaller caliber pellet and BB airguns. 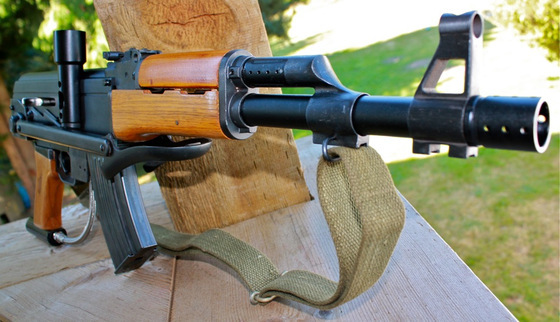 You just have to have the classic AK47 and this one even has the wood foreword stock. I will be reviewing the Under Folding Stock version of this very realistic looking AK47 Paintable Assault rifle. The Tacamo T68 AK47 Series of Paintball guns are based on the most widely used assault rifle in the world - the AK-47! Tacamo has taken the AK47's classic lines and melded them with the powerhouse T68 internals to create this powerful marker for scenario paintball and military training. The Tacamo marker is designed as the "opposing force” weapon to enhance military combat training, or for when you just want to play a bad guy for the weekend. The Tacamo T68 Series Paintball Guns are manufactured at a registered weapons factory in the PRC using actual production parts from AK47's where possible! This Paintball gun is made but Tacamo but does not carry the Tacamo Brand. Reliable T68 Internal with All-Mechanical Performance—no batteries! I'm trying something new here by adding a few Paintball guns to the store and I do plan on reviewing one of the Tacamo Paintball guns, this will be a new experience for me for sure! The Tacamo AK RPK Special Products Division-RPK is a real show stopper. The stock and fore-grip are real laminated wood, it comes with a real AK bi-pod, real AK rear sights, and a specially bored 20 inch barrel. 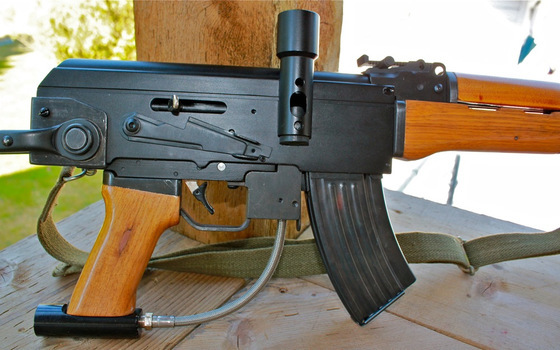 The Tacamo AK RPK Special Products Division-RPK also comes with a 75 round drum magazine for that added realistic look.